To move around town, we recommend using public transport over driving or taking a taxi. The traffic situation in the city center has become pretty bad in the past decades. Prague has one of the best public transportation system in Europe. The metro, trams and buses are used by two-thirds of Prague’s population and cover the majority of the city and outskirts. Here you can find more information about fares in Prague. To find your connection use this website (English and German interfaces are available). 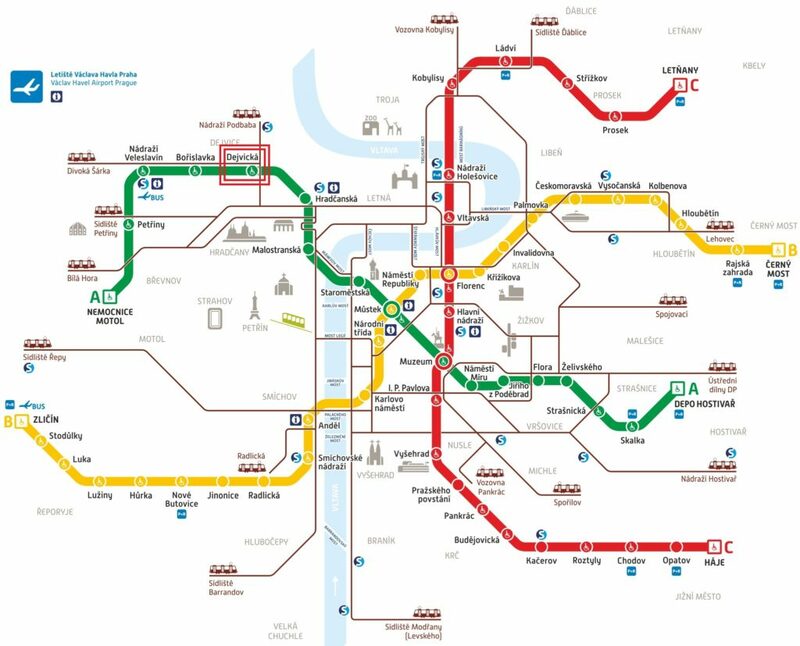 Travelling from NTK to the centre is most convenient by metro (from Dejvická station – line A, three stops to the downtown station Staroměstská and five stops to the top of Wenceslas square station Muzeum). Alternatively, you can use tram number 20, from which there are nice views when passing the Prague Castle. There are several kinds of tickets: 3-days ticket is valid for 72 hours (for 310 CZK), all-day ticket is valid for 24 hours (for 110 CZK) and single-trips ticket for 30/60 minutes (for 24/32 CZK) following its validation in the stamping device in a tram or a bus or at the entry to the metro transit area. The tickets are valid in all kinds of public transport – metro, bus or tram. They can be purchased in the vending machines, at some metro stations, at tobacconist’s and some newspaper kiosks. Do not forget stamping it when boarding bus or entering metro, without stamp it is invalid!